SCOTLAND/UNITED KINGDOM, 21 September 2016 – Academics and students at the University of Edinburgh School of Geosciences are set to become the first to gain unlimited access to millions of pounds worth of state-of-the-art Earth Observation, geospatial intelligence and satellite mapping applications, thanks to a groundbreaking memorandum of understanding (MoU) signed between sustainability software and data company Ecometrica and the University of Edinburgh. The MoU formalises the ongoing collaboration between Ecometrica and the University of Edinburgh, which is expected to be worth around £4.5m to both parties over the next five years. Ecometrica will make its Mapping suite – a web-based, universal, disruptive geographic information system (GIS) – available on a limitless basis to the University, so that it can be used for research and teaching purposes. 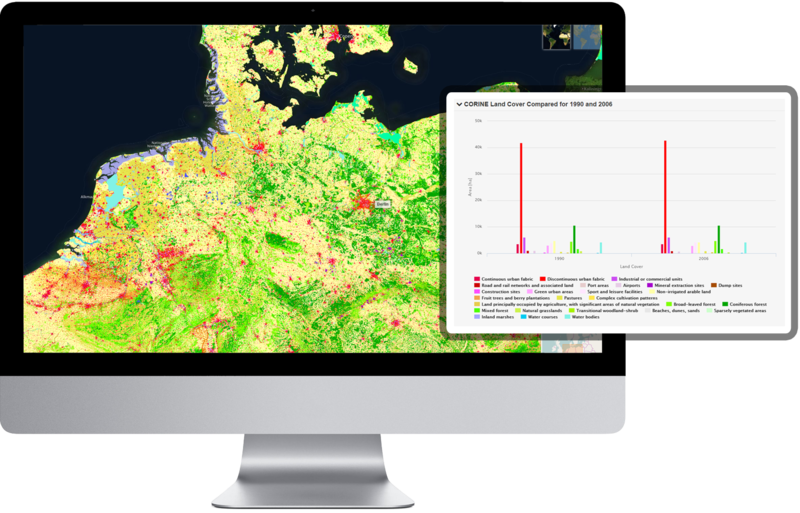 The Ecometrica Platform, which has emerged as a key tool in global efforts to understand and predict environmental impacts, collates vast amounts of satellite data and allows users to input their own information gathered on the ground to build and share detailed interactive maps illustrating complex and changing situations. Ecometrica CEO Gary Davis said: “The Ecometrica Platform will go into immediate use at the School of Geosciences, which already works with Ecometrica on a number of ecological mapping projects. It will be rolled out to other University of Edinburgh Colleges and Schools looking to use spatial data platforms, along with tailored training. “This is a big commitment, which paves the way for undertaking larger collaborative research involving unprecedented amounts of data from satellites, such as the European Space Agency’s Sentinel missions, and a range of earth observation sources. An agreement signed earlier this year, involving NASA and the UK Space Agency, has already seen the Ecometrica Platform deployed at the School of Geosciences in a joint project with the Universities of Maryland and Leicester to explore the collaborative use of Lidar technology and earth observation data assets, ahead of the launch of NASA’s Lidar mission on the International Space Station. The latest memorandum of understanding gives the University of Edinburgh a licence to obtain continuous use of the Ecometrica Platform’s Mapping suite for teaching and research purposes across its three Colleges and 20 Schools. In return, the University will incorporate the Ecometrica Platform into research applications in the geospatial area. As head of forestry with Global Surface Intelligence ltd, i would be very keen to discuss opportunities with Ecometrica and our current platforms based in the forest sector. We currently undertake forest inventory in the USA and Canada working with various Gov departments and private forest management companies.